Good Nutrition Beyond The Family Meal ! • Mark the Calendar. Schedule play dates with nature at parks, farms, farmers’ markets events and botanical gardens by getting them on the calendar when everyone (pets, too!) is available and then, start the research! • Start a Garden. From my personal experience of working with thousands of kids of all ages, they love to grow, harvest and cook with their hand-grown food. There is nothing more rewarding for a child (or grown-up kid) to plant carrot seeds, watch their tops grow and then, dig for orange gold when these delicious carrots loaded with beta-carotene are ready to be harvested. Remember you won’t see dancing chicken nuggets in the garden or cans of soda being dumped on the plants because it would hurt the plants. Once kids make the nature-nutrition connection and apply it to their own bodies, their light bulbs go off and you will see their food choices move in a healthier direction. • Jump into Composting. Composting and gardening go hand-in-hand. It’s an exciting way for the family to eat more fruits and veggies to help build up the pile, reduce landfill garbage, get some exercise and hang out with worms! • Variety Cures Boredom. Each weekend can bring a new adventure by visiting the local zoo, hike a new path, bike ride as a family and pack a fun, nutritious picnic at the local park. Splurge by camping overnight (I can promise you that you will not find any vending machines at these locations!). • Go Veggie Picking. Visit a local farm that offers the public the opportunity to pick your own produce and enjoy the experience knowing where your food comes from. • Bring the Binoculars. Sitting still is a new concept for many of us in our 24/7 lifestyles, but if you just rest and take in the sites, you will be amazed to watch nature at work! • Keep a Journal. Kids love to create journals of their experiences including what foods they picked and tried, what bugs they found, and any other family adventure. Everyone can participate in drawing, writing or adding stickers of what was observed. Don’t forget the camera! Get planning and enjoy the great outdoors with your family and remember that good nutrition is an experience that can be achieved beyond the plate at the family meal. – Stacey Antine, MS, RD, founder, HealthBarn USA, author, Appetite for Life and recognized as top 10 dietitians nationally by Today’s Dietitian magazine for her work with HealthBarn USA. So, you have dieted in preparation for a great vacation and you are looking good. How are you going to keep the weight off during your relaxation time? Not to worry. It is possible to eat well on vacation and come back without having to fight the scale for your pre-vacation body. You might not know it, but your mission to keep the weight off starts before you are on vacation and while you are leaving. You will be tempted to catch a quick meal on the road or at the airport because you had to spend time getting all of your last minute vacation needs together. Either pack yourself a healthy snack from home or fill up on healthy food before you go. 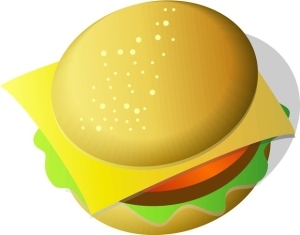 You will be too full to hit the fast food places at the airport which will save you both calories and cash! Forget about ordering in and room service when you are at the hotel. Hit the Internet and find the nearest market. Stop there for healthy foods at mealtime and put healthy snacks that do not require refrigeration, such as fruits, in your hotel room. If you have a fridge in your room, stock it with the foods you were eating on your diet. Above all, skip the drinks in the hotel and your mini-bar. The calories in these will destroy any diet. Both your midsection as well as your credit card will be extremely grateful! One of the major factors that I found that has made a tremendous impact in my travels, was when I began to read the reviews on the areas and restaurants of where I was staying before hand. One of the major factors that I found that has made a tremendous impact in my travels, was when I began to read the reviews on the areas and restaurants of where I was staying before hand. Without this knowledge, it is practically a free for all when you get to where you are going and this is what often leads to unhealthy eating and expensive spending. I did a poor job of this in the past and paid the ultimate price with weigh gain. My most recent trip, I stayed in a hotel and I searched the destination’s reviews and ended up with the best option for my personal eating habits. Looking up the reviews on your hotel and surroundings can be a difference maker when you are trying to be healthy on your travels. They offer important information such as whether or not they have a pool to exercise, continental breakfast, workout room, healthy restaurants available/ nearby, as well as local markets. Make sure to do your homework prior to your departure. Unless you are vacationing alone, you are likely to wind up at a restaurant at some point, even if you do not want to eat out. That is okay. Go straight for healthy dishes like salad and fish. 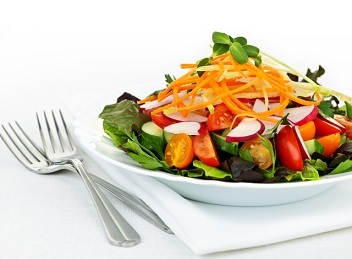 Order steamed vegetables in lieu of starches like bread, pasta and potato. Do not order anything fried. If you are at a restaurant that sells huge portions, ask for a take-out container as soon as your meal arrives. Dump half of it in the container and save it for later. You will be less likely to overeat if you make that commitment right away. You do not have to hit the gym while you are on vacation, but go right ahead if you enjoy it. You will get plenty of exercise just enjoying your surroundings. You are probably in a nice climate in a beautiful location if you are on vacation, so make the most of it. Go for a walk or jog. Go rafting, hiking, swimming or even shopping. Just stay on the go when you can. When you cannot, stick to salad and lean protein that day. At the end of a vacation following these tips, you will be sure to come home healthy and with a little more cash in pocket. – This article was written by Cole Millen, an avid traveler and health enthusiast who has devoted his craft to helping others stay on track during their travels. This most recent post was inspired by his stay in a Las Vegas hotel where finding healthy food can be as difficult as winning in the casino! There is a surprising amount of incredible nutrition in a green peas. Peas pack a lot of nutrition in a tiny pod. They come from the legume family, like cannelli or navy beans and share the same nutritional payloads of fiber, protein and vitamins. Green peas are one of the most nutritious leguminous vegetables, rich in health benefiting nutrients, minerals, vitamins and anti-oxidants. 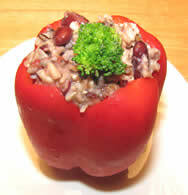 Peas are also relatively low in calories in comparison to beans, and cow-peas. 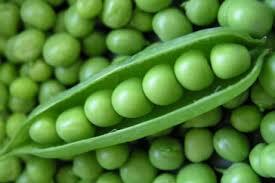 100 g of green peas contains only 81 calories, and no cholesterol. These legumes are a good source of protein and soluble as well as insoluble fiber. One half cup of peas has just as much protein ( 5 grams) as an egg or one tablespoon of peanut butter, but without the fat or cholesterol. Fresh peas are generally available from April to June, yet frozen peas retain all the taste and nutrition of fresh peas and are available all year long. Canned peas miss the mark. They lose most of their vitamin content and are packed with unhelpful salt and sugar. In cooking peas, some people pulverize them (no offense Brits) and some people make them an afterthought. I say we start giving peas the respect they deserve and elevate them to higher place on our list of food choices. You can use peas in a variety of different ways. I love to use them in low fat pasta salads, as a side dish with pearl onions, in green salads, stirred into a rice dish, paired with sautéed mushrooms or even added to freshly made guacamole. Try Heart Easy™ Peas Francoise alongside a rotisserie chicken for a delicious and heart-healthy meal. 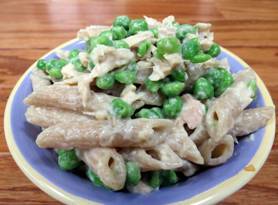 Or make up Heart Easy ™ Pasta, Tuna & Pea Salad which you can use as a meal or a side dish. Learn to love peas and take them to heart. 8 ounces frozen peas, 1/4 cup water, two scallions slivered into one-inch pieces, 2-3 thin slices of fat free ham, julienned, 1 low fat butter substitute like Smart Balance Light, 1/2 cup of Boston lettuce slivers. Combine all ingredients, except ham and butter substitute. Cook peas, scallions and water for 2-3 minutes. Pour off any remaining water and fold in the ham strips and butter substitute. Cook until butter substitute melts and ham is heated through. Add lettuce slivers at the last minute and serve. Cook pasta according to package directions, but don’t overcook. Drain and allow to cool. In a large bowl, combine pasta, celery, peas, mayonnaise. Stir until well-combined. Add cayenne pepper and salt. Refrigerate for at least one hour before serving. Top with fresh ground pepper. 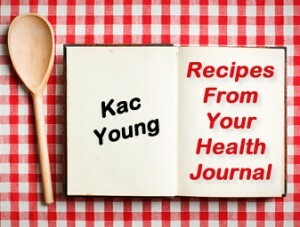 – Kac Young , a former television director and producer, has earned a Ph.D. in Natural Health and is a Doctor of both Clinical Hypnotherapy and Naturopathy. She is the author 10 books. Heart Easy is a system of nutritionally sound, delicious meals that promote heart health, long life and taste great. Traditional recipes are turned into heart healthy meals that anyone can make. The health results are outstanding. 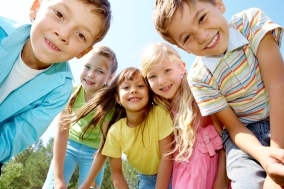 Anyone with a teenager knows that kids can seem like “bottomless pits” when it comes to food. But when is a child’s appetite not only unhealthy, but a cry for help? Binge Eating Disorder, or BED, usually affects children between the ages of twelve and twenty-five, with girls outnumbering boys two to one. Children with BED eat large quantities of food whether or not they are hungry; they report feeling “zoned out” and out of control when eating. This leads to strong feelings of shame and distress, which then prompts the child to comfort him/herself with more food. 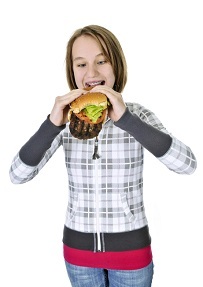 Binge eating differs from bulimia in that the child is not compelled to “purge” after a binge episode, either through vomiting, laxatives, or compulsive exercise. Therefore, a child with BED is more likely to be overweight. 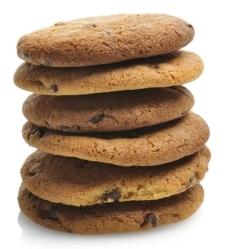 Studies have found physical, social, and psychological causes that lead to binge eating. The hypothalamus, a gland that secretes hormones that tell you when you’re full, may give off faulty signals. Compulsive eaters also have low levels of serotonin, the body’s “feel-good” chemical (Melinda Smith, MA; Robert Segal, MA; Jeanne Segal, PhD). 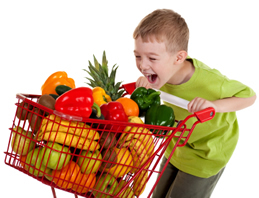 Sometimes a child who is rigidly denied certain foods at home will binge on them at a friend’s house, or in secret. 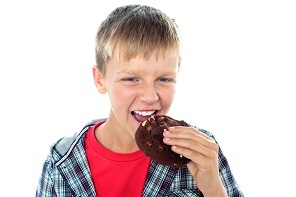 Most commonly, kids who binge are suffering from stress, depression, low self-esteem, anxiety, or boredom. Is your child suddenly eating an alarming amount of food because of a growth spurt, or in response to a problem he/she can’t soothe any other way? What should you look for? If you’re concerned about your child’s eating habits, here are some Do’s and Don’ts for parents, caregivers, teachers, and other adults in the child’s life, according to Dr. Jennifer Trachtenberg, chief pediatric officer of RealAge. • use food as a reward. • focus undue attention on food, body weight, or table manners. • try to figure out what’s going on emotionally. Pressures at home? At school? • manage your child’s stress. Find professional help if needed. • teach kids to cook, so they learn to appreciate subtle flavors and quality ingredients. • encourage physical activity to balance brain chemistry, alleviate boredom, and metabolize excess weight. • provide three healthy, nutrient-dense meals and two snacks per day, but allow treats on occasion. • be a good role model. Control portions, eat slowly, make healthful choices, and avoid the “don’ts” above. • schedule doctor visits more frequently to build accountability and keep close tabs on any risk factors that may be present. – Judy Bennett is a board certified holistic health practitioner and a member of the International Association of Wellness Professionals and the Society for Nutrition Education and Behavior. Monitoring blood pressure is important to keep the heart and veins of the body in optimal condition. 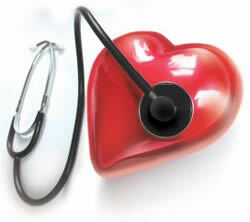 First, an individual must schedule an appointment with a medical professional to determine if blood pressure is normal. A chronic abnormal blood pressure reading will determine what actions a patient must follow. When a patient visits a physician, several important vital signs assist in determining blood pressure health. Individuals might need to change to a low-sodium diet, increase exercise, lose weight or take daily prescription medication when blood pressure is abnormal. Blood pressure is measured on adults with a specialized medical armband device called a sphygmomanometer. The device has mercury that rises to show diastolic and systolic rates. At the same time, a stethoscope is used to listen to heartbeats and respiration rates. Each individual has a variation of blood pressure readings throughout a day due to physical activity, health conditions, medication, diet and emotional stress. Blood pressure readings in combination with the temperature of the body, heartbeats per minute and pulse rates are important tests to determine physical conditions. An abnormal blood pressure reading is the result of a chronic, temporary or emergency health condition. Many patients have higher readings due to nervousness while at a medical facility. Additional factors that show temporary abnormal readings are having a full bladder, recent exercise, smoking and consuming caffeine. 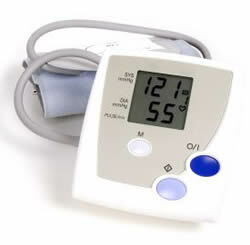 Individuals with abnormal readings in a medical office setting can purchase a blood pressure monitoring device to check readings throughout a normal day. This is a great way for an individual to care for blood pressure health. Low blood pressure is a dangerous medical condition that causes fainting or dizziness. Emergency hypotension is a result of massive blood loss, hormonal imbalances, infection, toxins or thrombosis. Eating disorders such as bulimia or anorexia nervosa change the chemical balance inside the body while often causing hypotension. A patient in a trauma situation resulting in blood loss can develop a shock condition rapidly. Low blood pressure more commonly occurs as a medical crisis than a chronic health condition. Hypertension is a chronic condition of high blood pressure that causes the heart muscles to work harder to move blood through the veins and arteries. If an individual routinely has a high blood pressure reading, then arterial hypertension is present. Chronic hypertension damages veins, arteries and heart muscles. Hypertensive patients are more likely to have aneurysms, renal failure, heart attacks or strokes. Individuals with this condition must modify daily lifestyle to reduce blood pressure readings. A nutritious food plan with natural foods low in sodium such as fresh fruits and vegetables, lean protein from poultry and whole grains assists in lowering blood pressure. Individuals should consume foods high in calcium, magnesium and potassium. 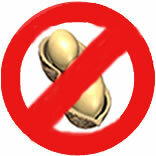 Reducing emotional stress is imperative for hypertensive patients. 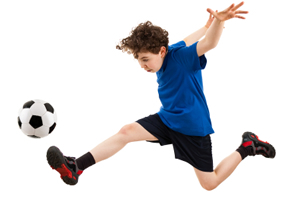 Individuals can engage in physical activities to improve cardiovascular health and muscle strength. A physician will typically prescribe antihypertensive medication to assist in lowering blood pressure. – Nisha represents a site called MHA.org.uk. She enjoys writing about elderly healthcare and dementia care.